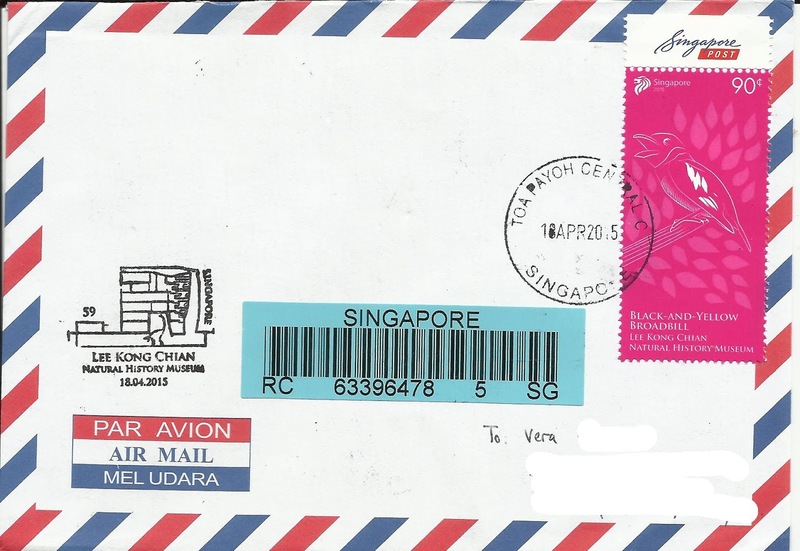 To commemorate the opening of the Lee Kong Chian Natural History Museum in Singapore a set of four stamps were issued featuring four animal specimens from the mueum. Posted on the first day of issue, from the museum. 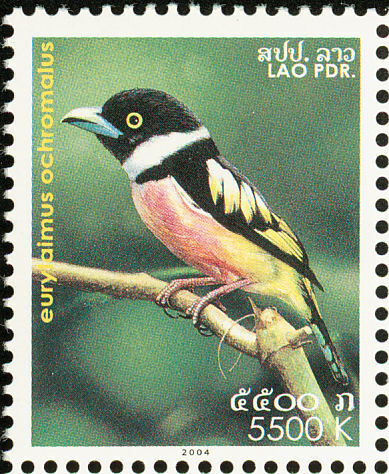 Bird on the stamp is a Black and yellow broadbill (Eurylaimus ochromalus), an endemic species for this region. 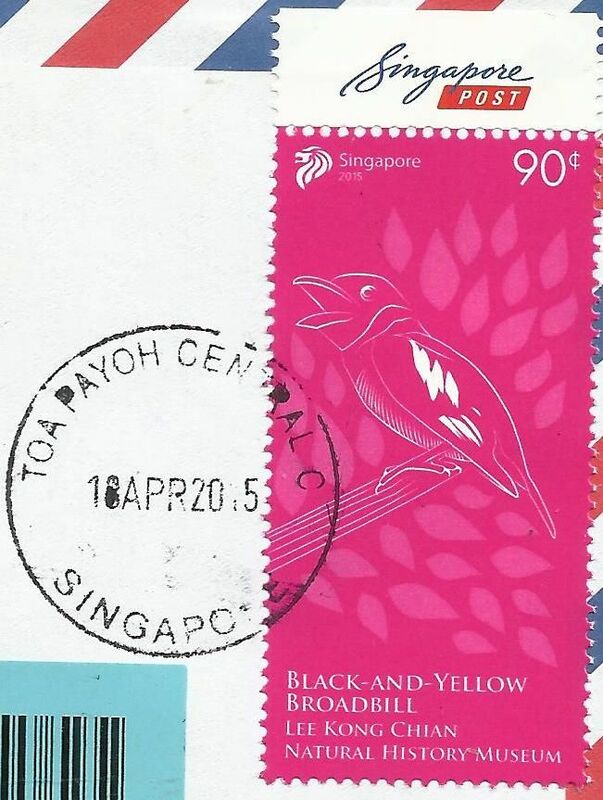 It's hard to see the beauty of the bird on the Singapore stamp so you can enjoy it on the 2008 Lao stamp.